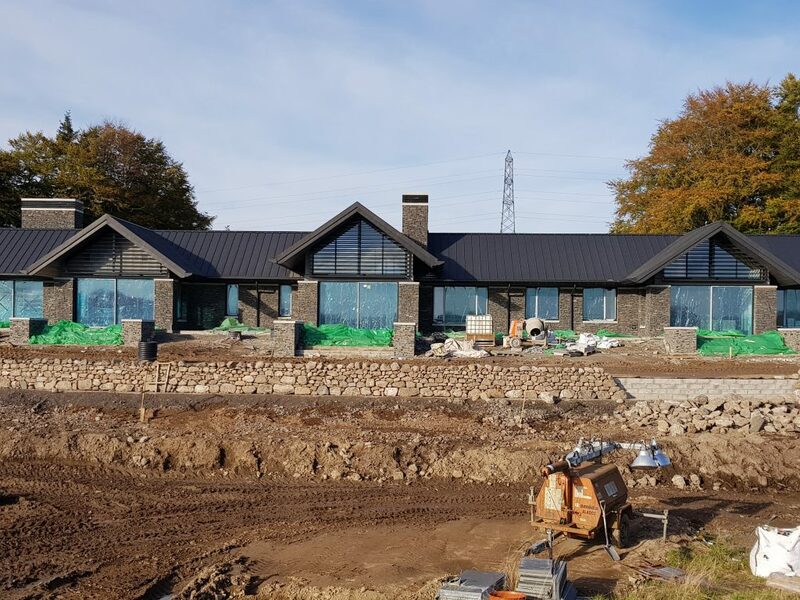 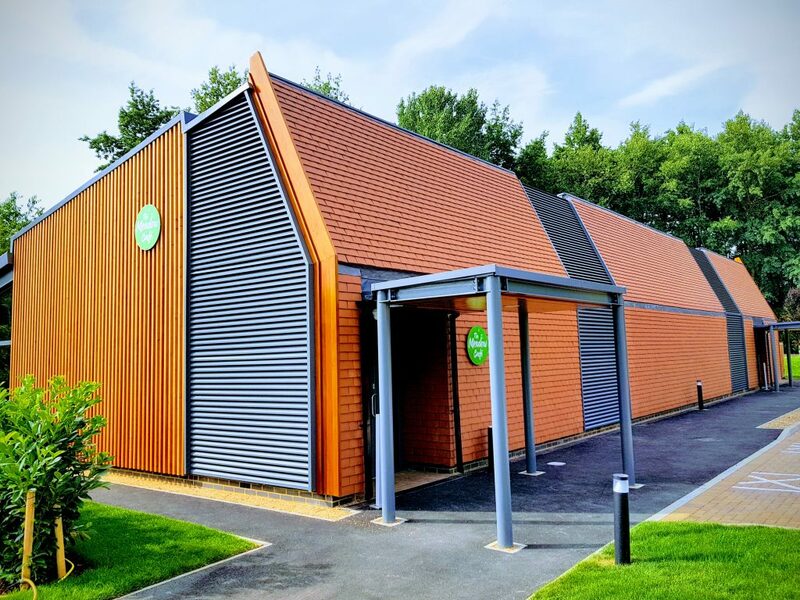 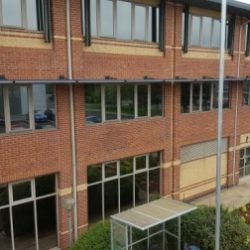 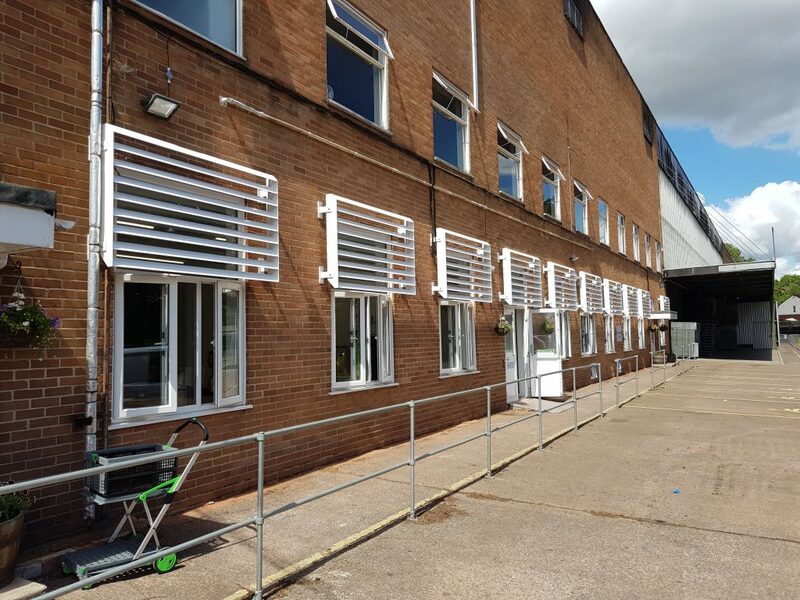 Our engineers installed 10 individual solar shading panels in front of the office windows at Aston Manor Brewery to reduce solar gain and glare. 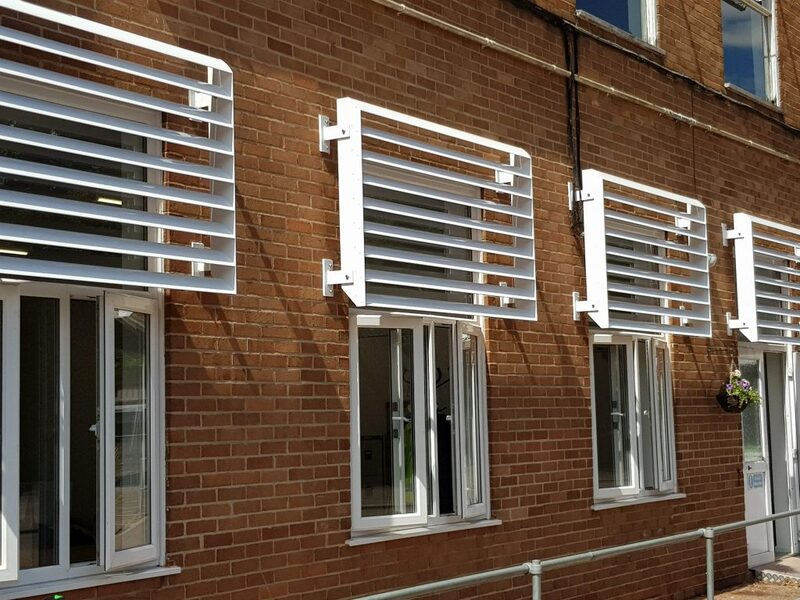 Nationwide Louvre Company recently supplied and installed 4 No. 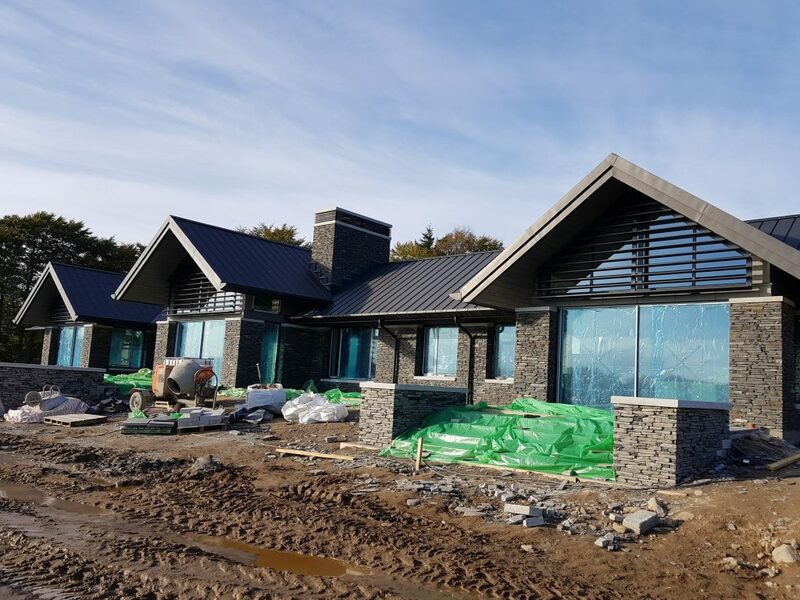 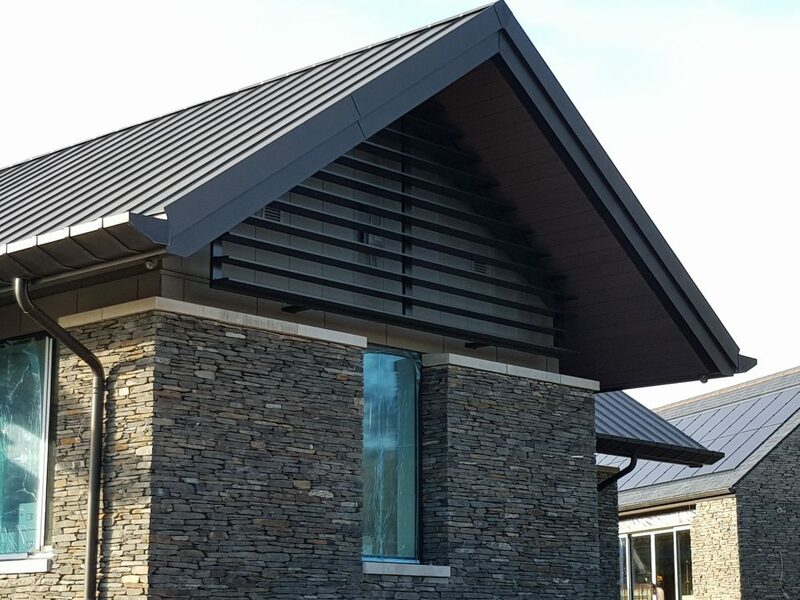 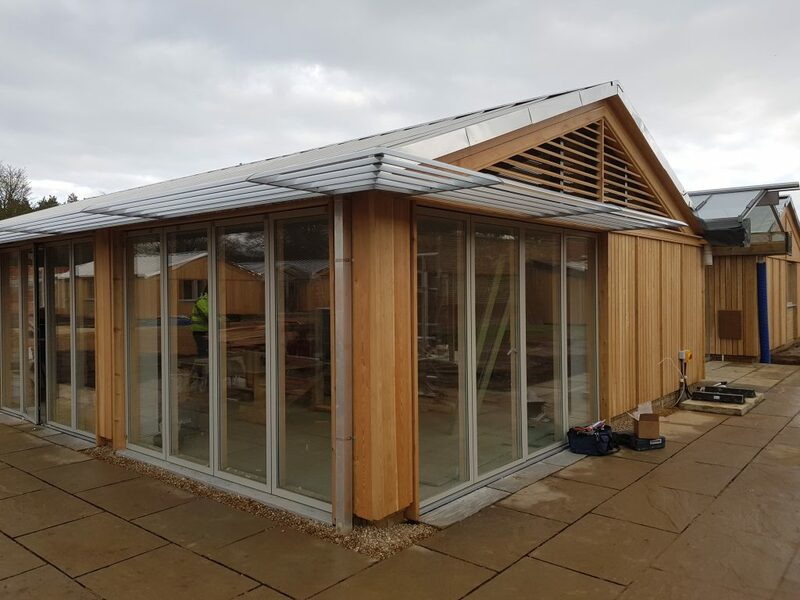 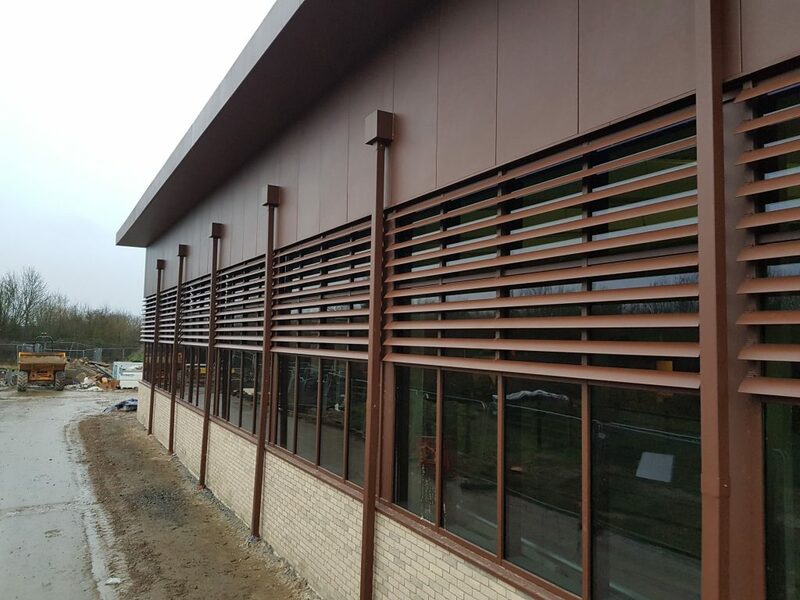 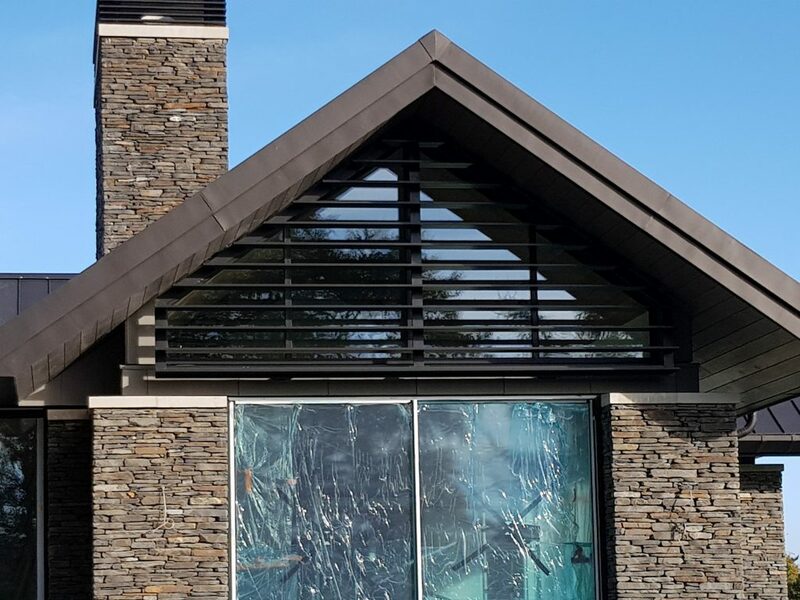 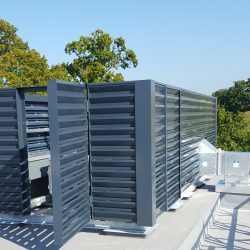 weather louvres to a new building at West Suffolk Crematorium. 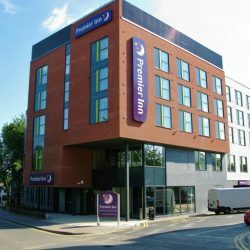 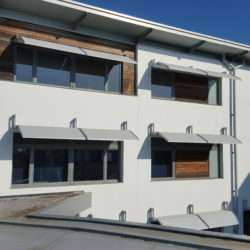 Two of the panels were on either side of the building and they both were the same shape but mirror image to suit the shape of both ends of the building. 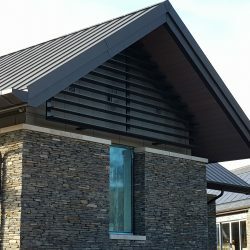 The other two panels were on the front elevation of the building and they both sloped back 65 degrees. 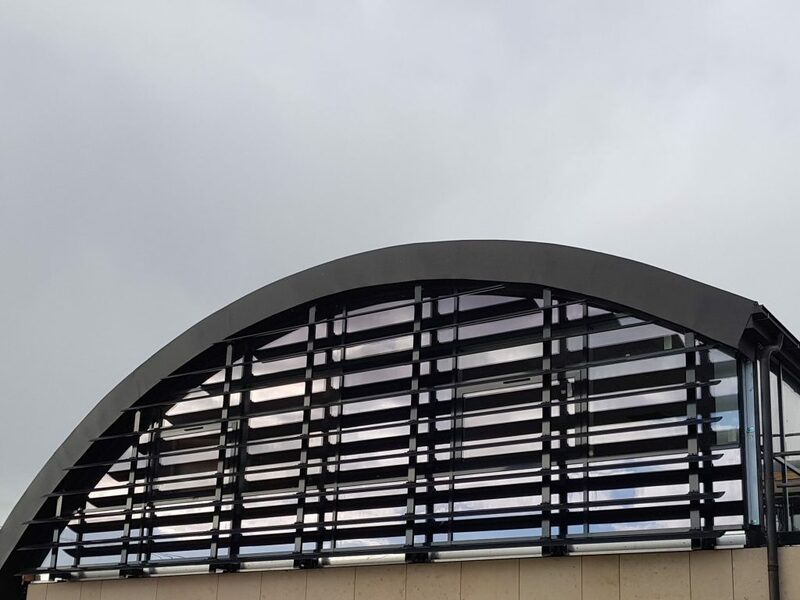 Each louvre was split into smaller sections due to the large size of the finished louvre but the blades gave a continuous appearance once installed. 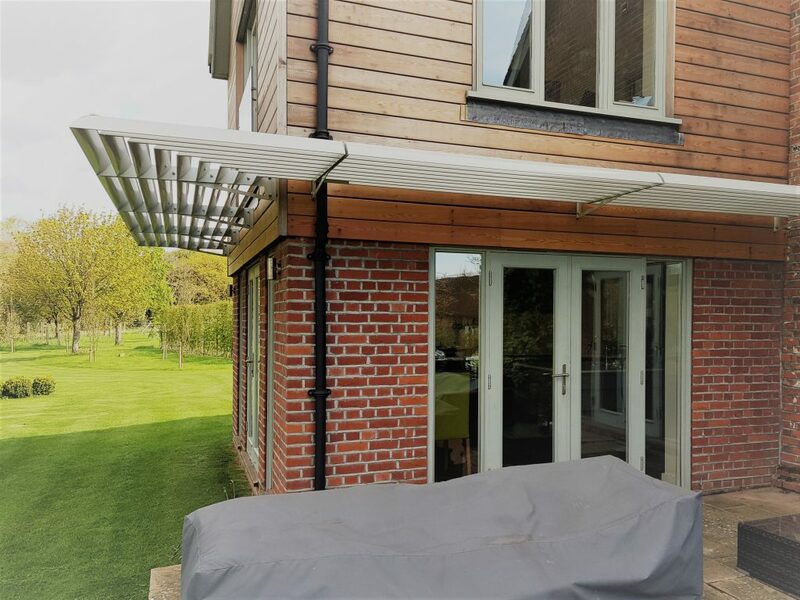 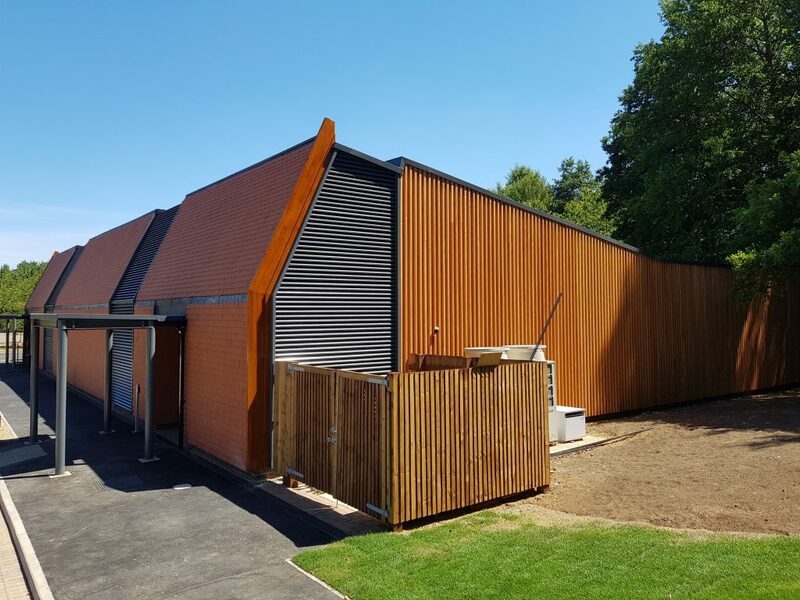 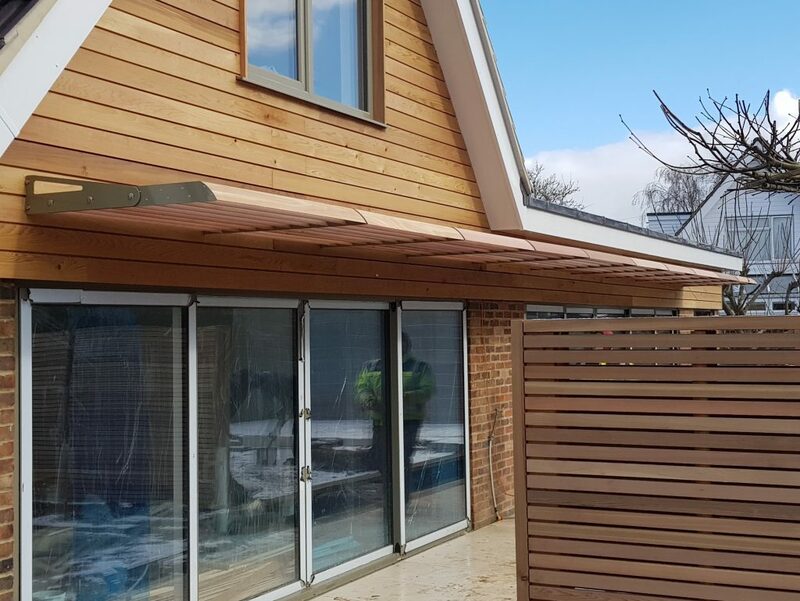 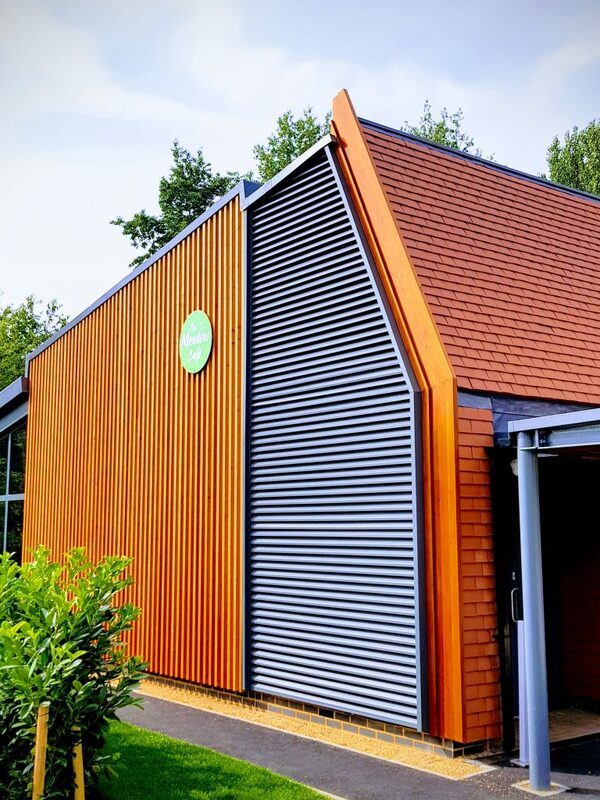 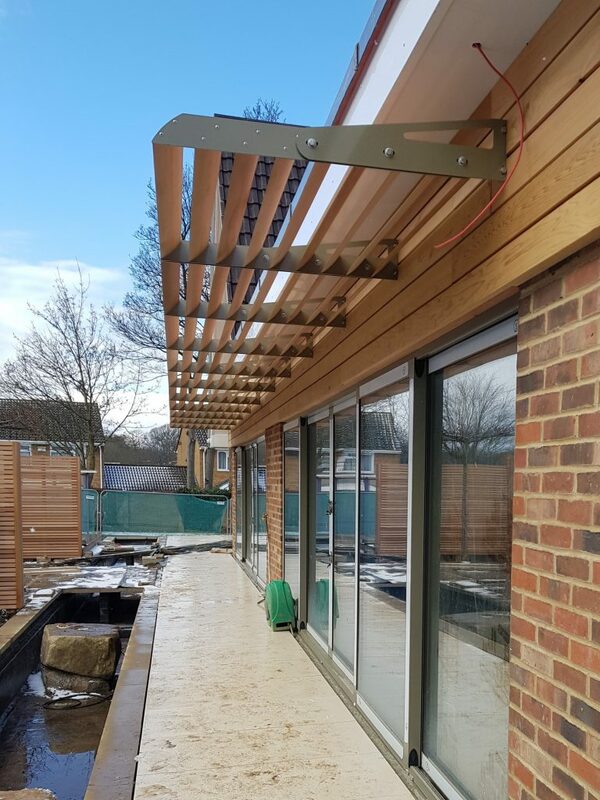 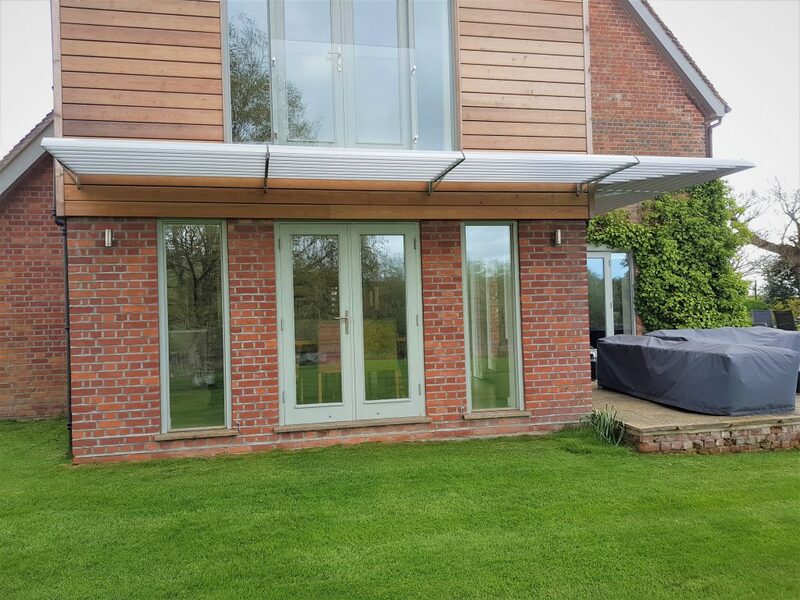 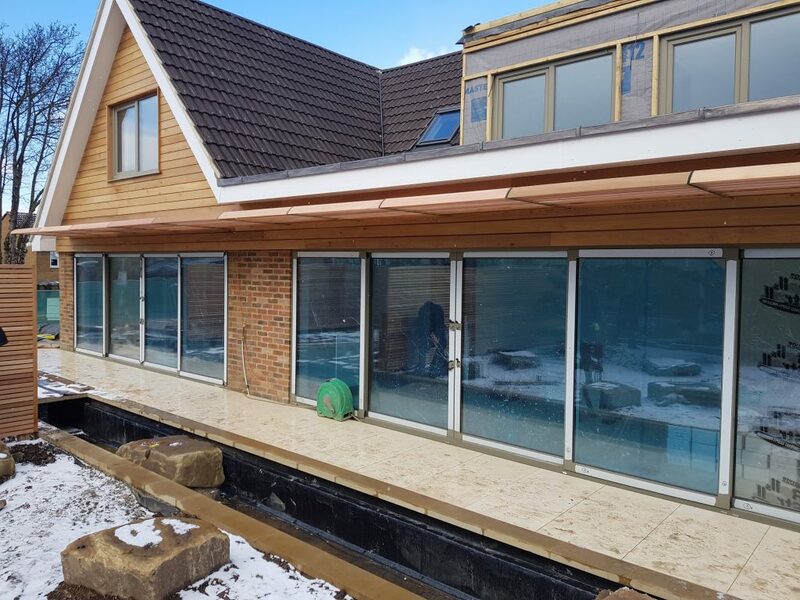 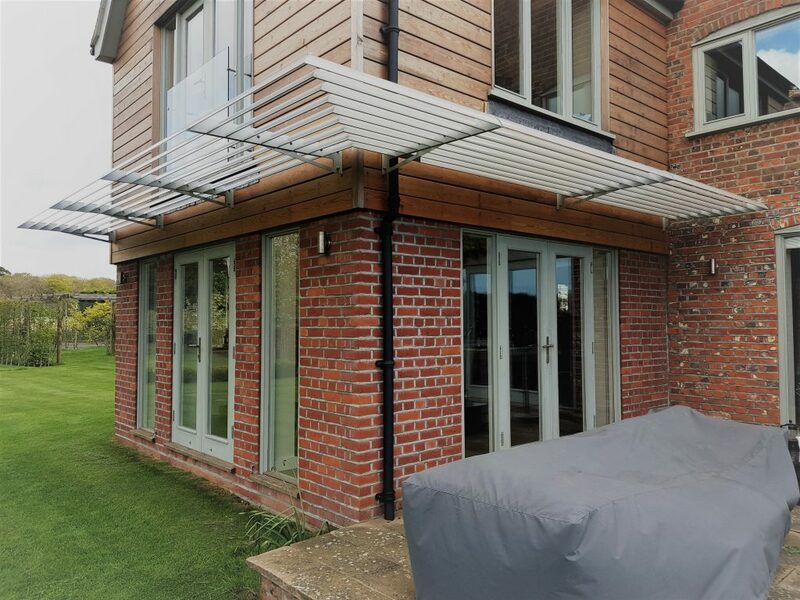 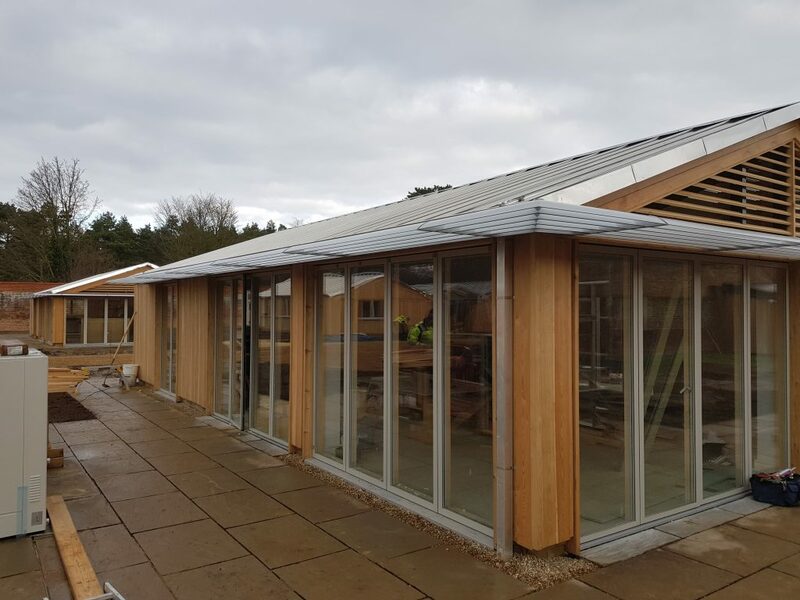 NLC supplied, delivered and installed this brise soleil to residential property in the New Forest, Hampshire. 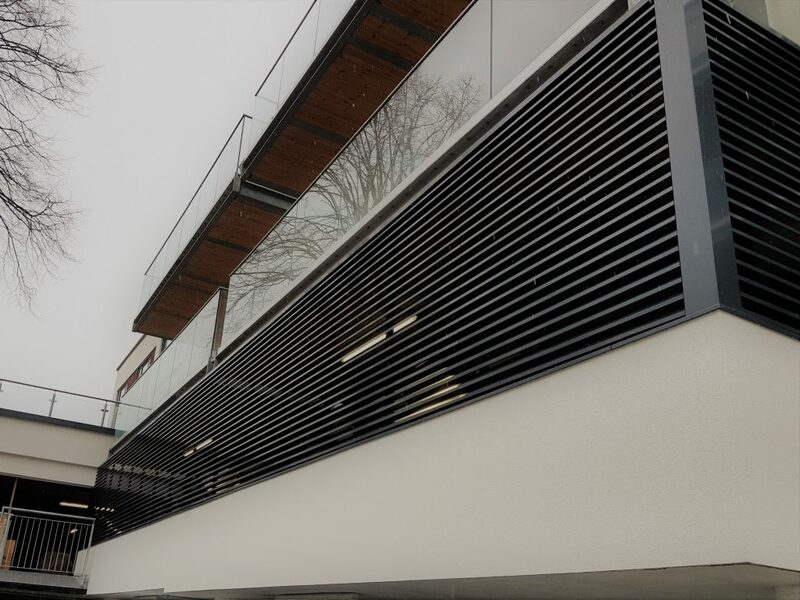 This particular shading system consisted of two elevations of brise soleil joined together through the use of a fully welded corner panel. 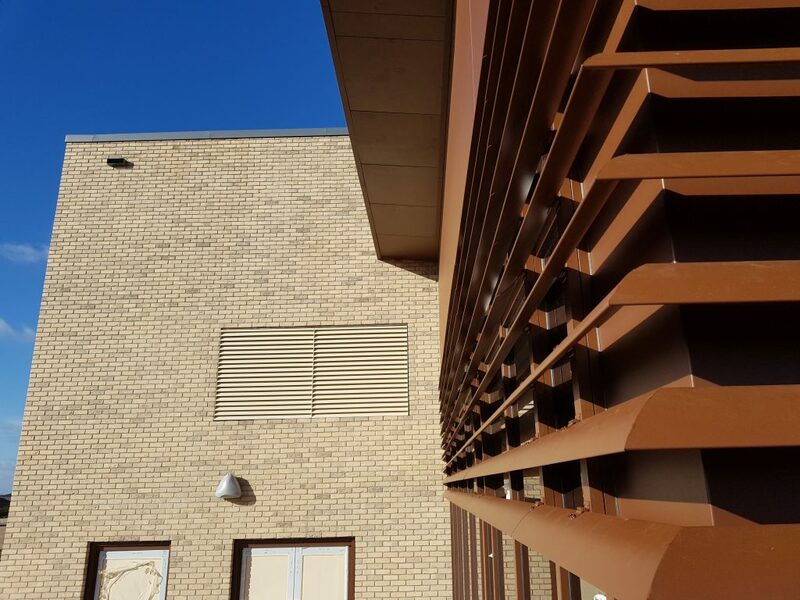 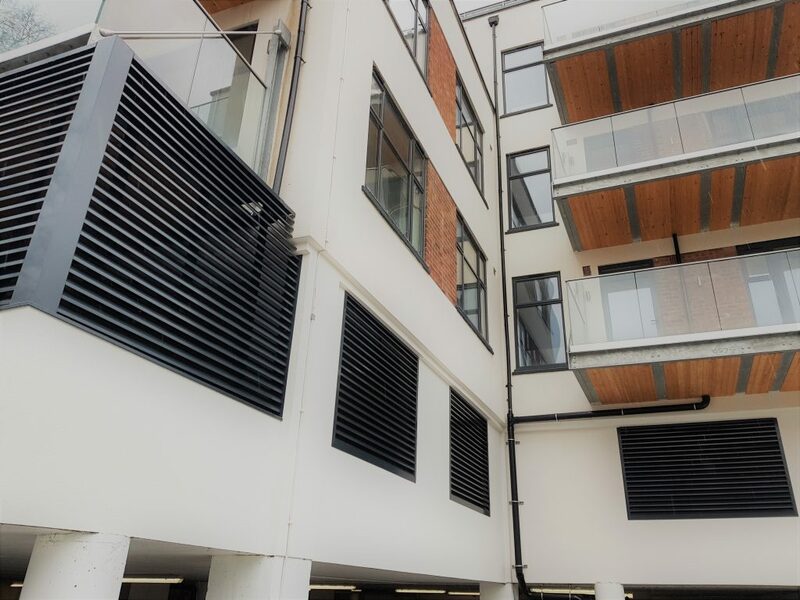 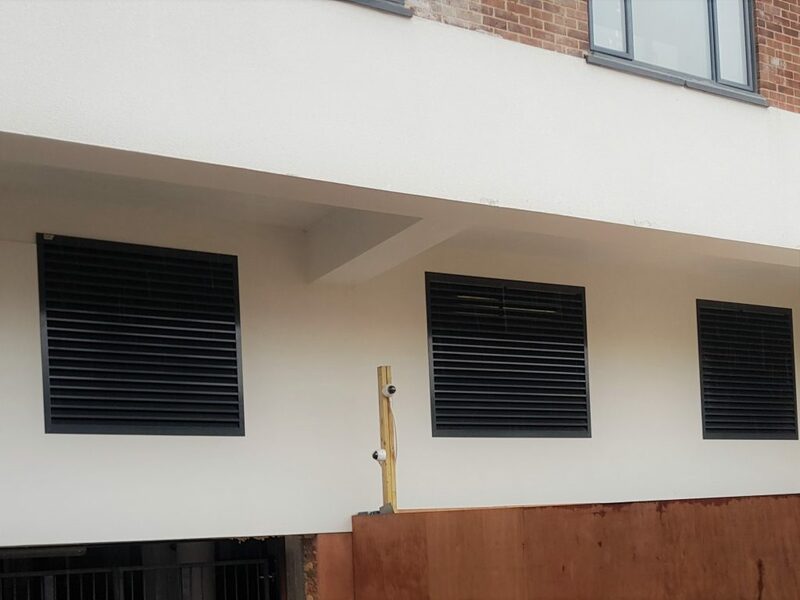 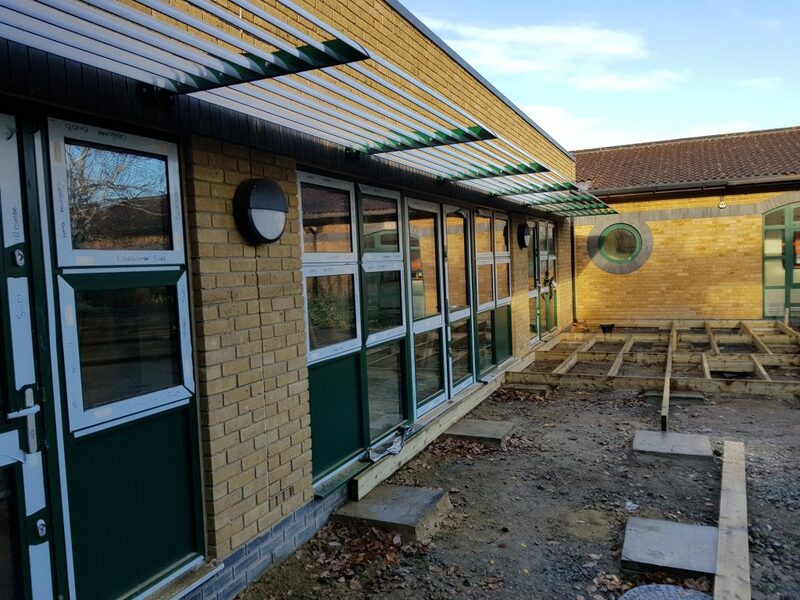 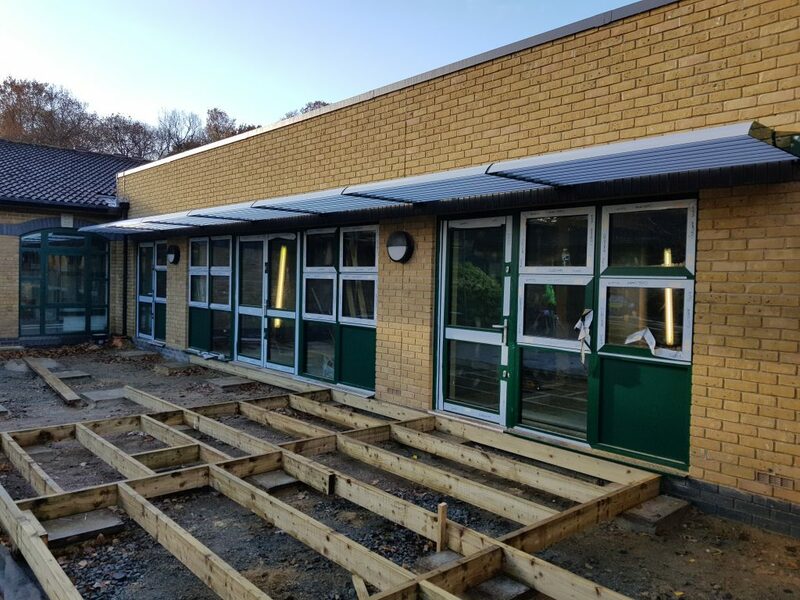 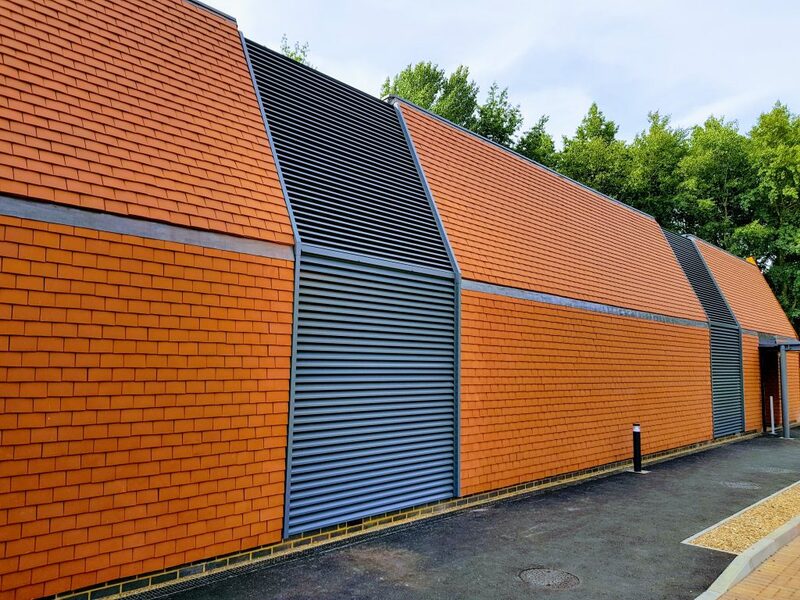 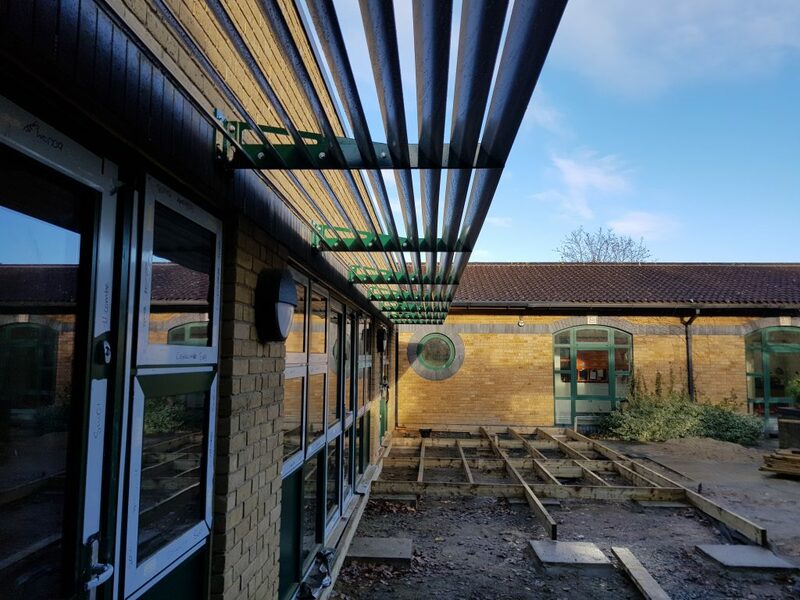 NLC recently supplied, delivered and installed this continuous run of brise soleil to a school in London. 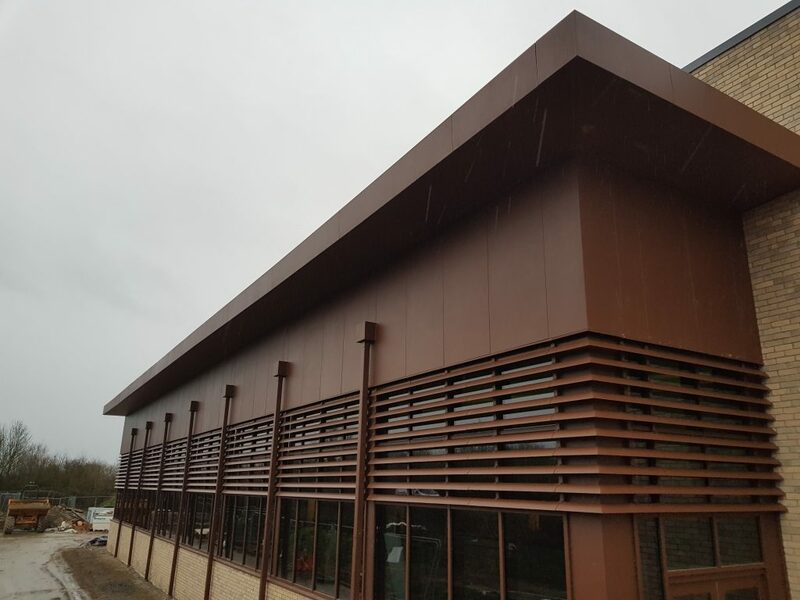 NLC supplied, delivered and installed ten triangular brise soleil panels to a residential development in Aberdeen. 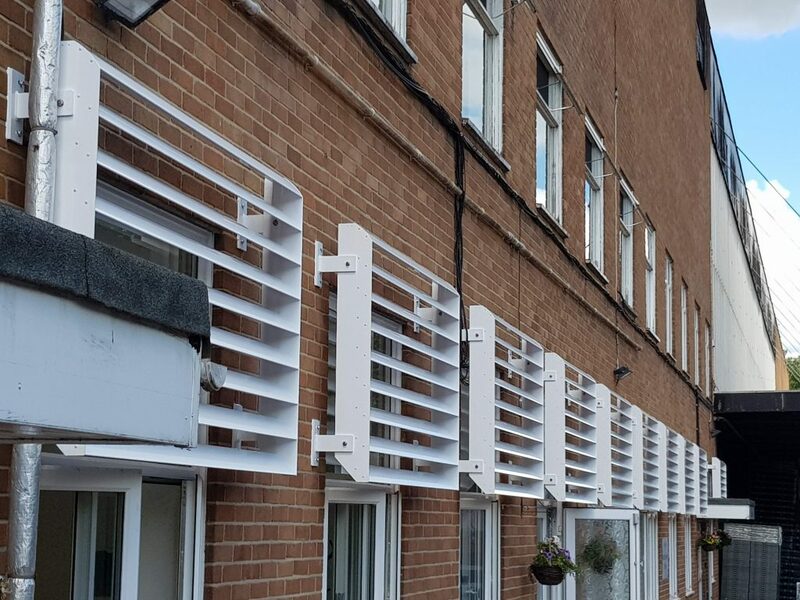 Each panel was fabricated using a box section frame with fixing cleats in certain areas to allow the frames to be dismantled for transport. 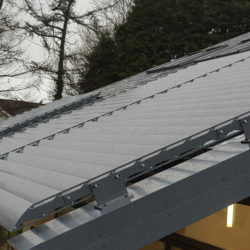 The blades were fixed to the frames using a profiled aluminium folded cleat fixed to the front of the box section. 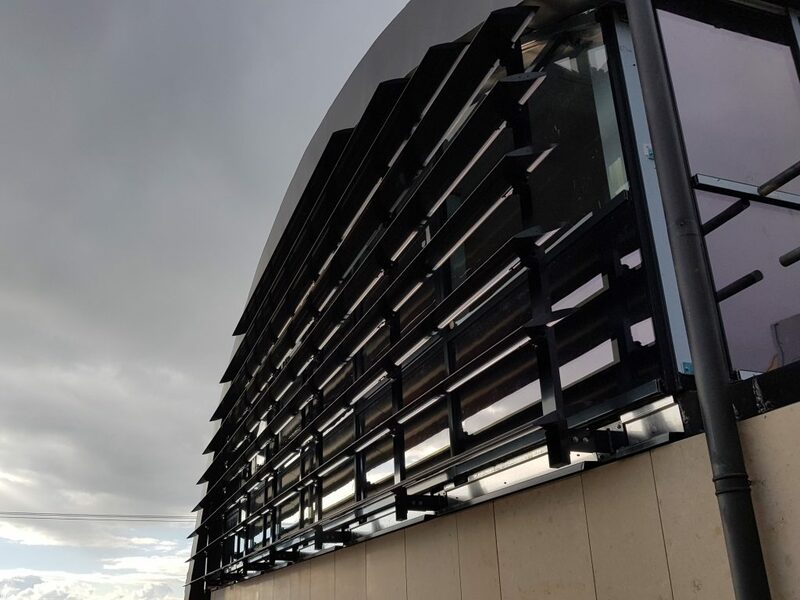 The box section frames were fixed in four points along the top two diagonal parts of the frame and also at the base where a straight bracket fixed back to the wall.